We buried my Uncle Dan last summer. A World War II veteran, he was buried with full military honor in a solemn yet beautiful ceremony. One of the defining events of his life was his service in the war, and it seemed entirely fitting that his funeral and burial took place Memorial Day weekend. That, at least, made sense, though the events leading up to his death did not, humanly speaking. Six months earlier, he’d suffered a massive stroke at the nursing home where he lived. It robbed my gentle and articulate uncle of the ability to speak or move, and after a month of unsuccessful therapy, the nursing home resigned itself to simply keeping him as comfortable as possible. In the months that followed, I struggled to comprehend the sovereign wisdom of a God who apparently had a purpose in this type of existence for my uncle. I struggled, too, in prayer. My uncle and I were close, and I prayed fervently for his recovery–but instead, his miseries increased. He developed bedsores that stubbornly refused to heal, despite the attention of a concerned nursing staff. I thought of the testing of Job, and wondered how God was redeeming this experience in my uncle’s life. The heading of Psalm 57 refers to it as a miktam of David. According to The Jamieson, Fausset, and Brown Commentary, a miktam of David means a secret of David. A closer look at this psalm will reveal some of the secrets concerning prayer during those times when life seems like one big question mark. When nothing David perceived made sense, what gave him assurance and peace concerning God’s sovereign control over all the events of his life? 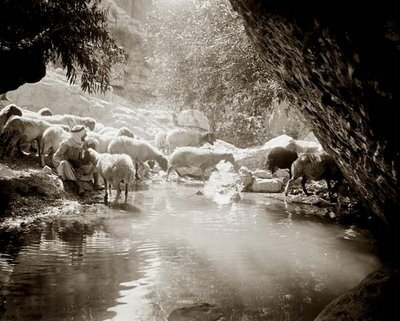 What was the secret of his stability and confidence in the face of daunting circumstances? 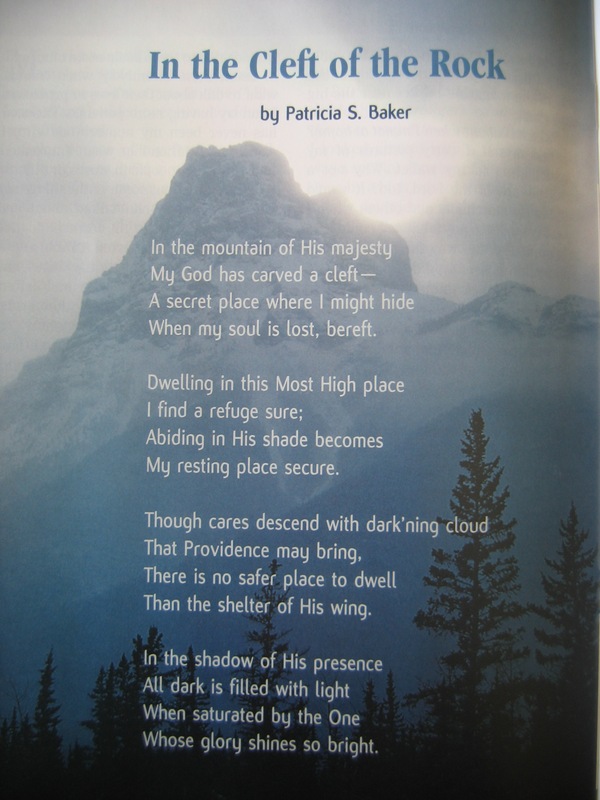 God is a Sovereign Refuge. “Have mercy on me, O God, have mercy on me, for in you my soul takes refuge. 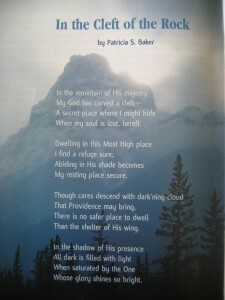 I will take refuge in the shadow of your wings until the disaster has passed” (Psa. 57:1, NIV). In the face of danger and uncertainty, David fled to the refuge of his God. Even as he hid in the innermost recesses of a cave, he sheltered his soul deep in the shadow of his Father’s wings. But where is this place, and how can we find it? In the phrase “shadow of your wings,” the word for wings is the word which in the original language also meant skirt, or corner of a garment. These words refer to the four-cornered prayer shawl or tallit of the Hebrew man to which highly symbolic tassels are affixed. In Numbers 15, God told the Israelites to attach these tassels so that they might be reminded to obey His commandments. The blue cord symbolized His sovereign authority; the 613 knots in the tassels represented every one of the laws of Moses. Praying under the shawl symbolized yieldedness to the authority of God. *Excerpt, first printed in The Breakthrough Intercessor, (Summer 2005, Vol. 26, Number 3, pp. 28-31). I’ll play a game of Hop on Pop. And play a game called Ring the Gak. And Cat in the Hat will come again. We’ll have lots of fun that’s funny. ‘Til everything wibbles and wobbles and falls. Making messes my mom wouldn’t care for at all! Their town was once saved by the smallest of all! To our home riding high on the back of that Gak. Too short for that long-legged, big-footed Ned. By the beam of a flickering, faulty flashlight). And a lover of children and fun for all time! When soul is lost, bereft. Than the shadow of His wing. Whose glory shines so bright. “Let me in,” smooth voice implores. His noise throughout my house resounds. Should I let him in my gate? This guest is loath to leave again. And fill my ear with pleasantry. Observing I look fine to him. That he belongs here by my side. And, oh, the stories he can tell! Is dealt by hand of God so kind. pierced through with arrow in his side! he staggered in, collapsed on floor. how could they do that to poor Pride? might like to sip some healing tea. already he was not so sore. he shared more tales of pain with me. while we both pondered his sad plight. who bids your favor without end. showed Pride the door, and bid goodbye. Alone I stood as all began to eat. Those feet o’er which I poured my perfume sweet. With such a gift my worship was complete.